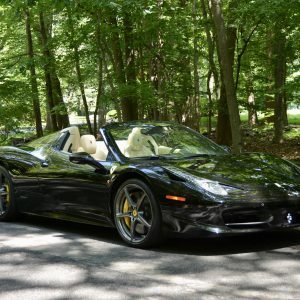 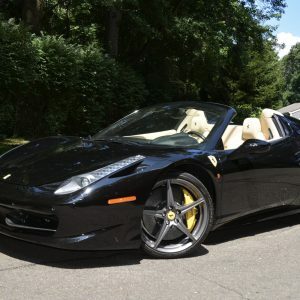 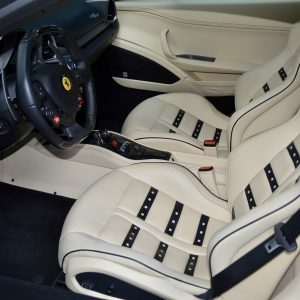 2015 Ferrari 458 Spider in Nero with Crema Leather interior. 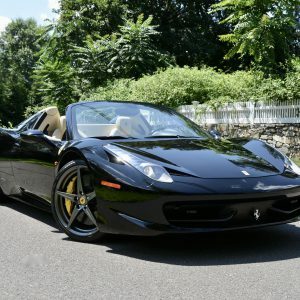 2015 Ferrari 458 Spider finished in Nero with Crema Leather interior. 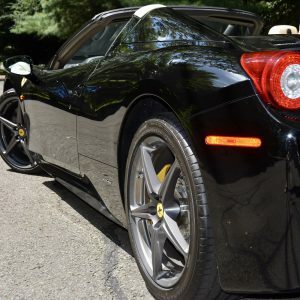 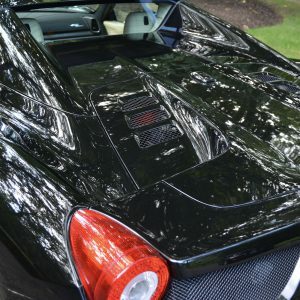 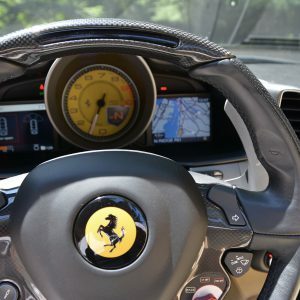 Driven 8k miles, this stunning state of the art Ferrari has a top speed of about 200MPH and a zero to 60 time of 3.4 seconds. 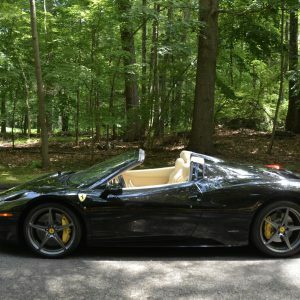 With breathtaking design, this incredibly nimble and quick supercar offers tremendous luxury as well. 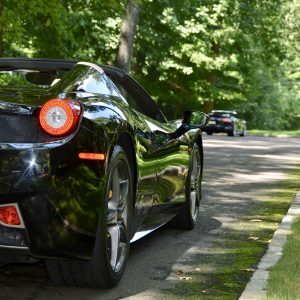 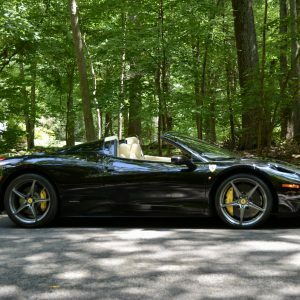 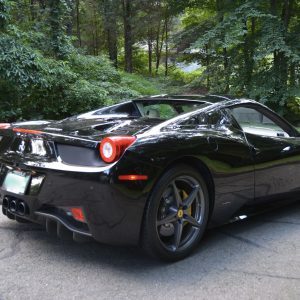 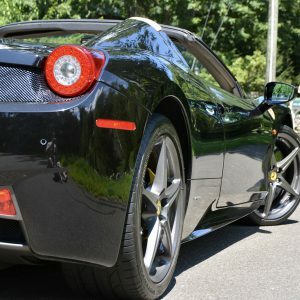 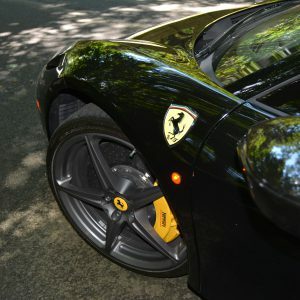 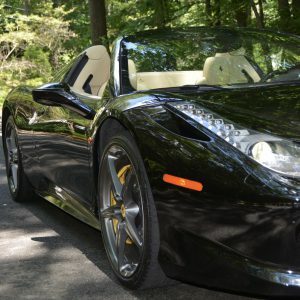 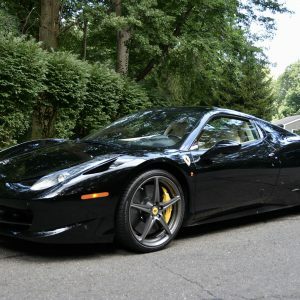 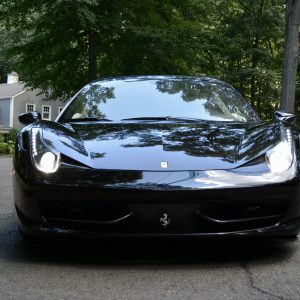 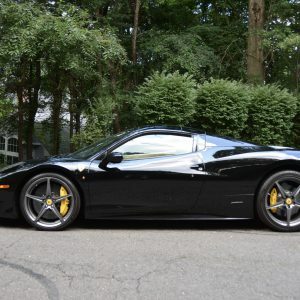 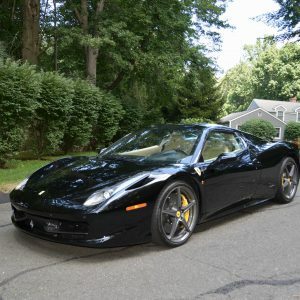 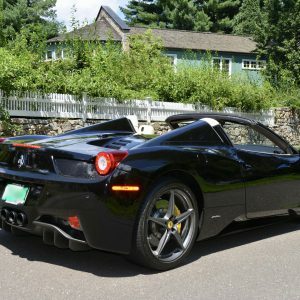 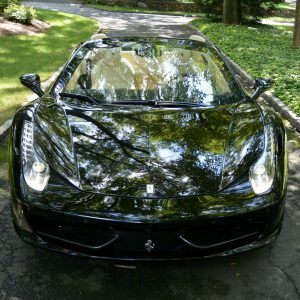 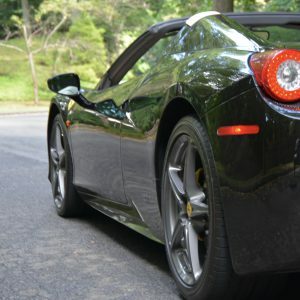 The 458 is considered by many to be one of the best exotic luxury-performance cars ever made. 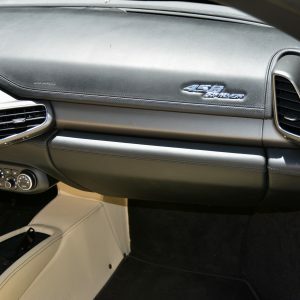 It’s world class styling combined with it’s symphonic engine sound make this driving experience one not to be missed and like no other available. 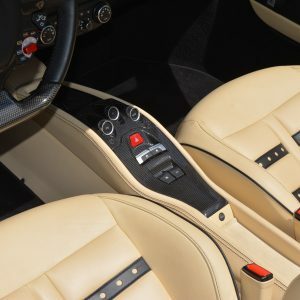 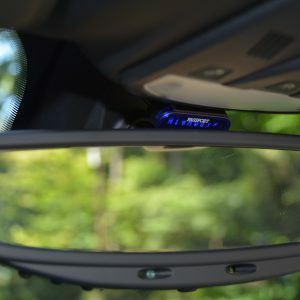 The perfectly tuned chassis and suspension increase your confidence, the precise steering feels perfect in your hands, and the fabulously-quick dual-clutch transmission ticks off gear changes in just nanoseconds. 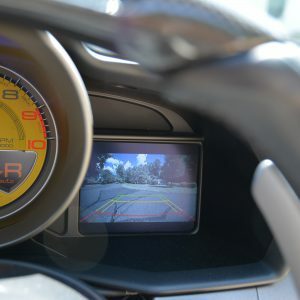 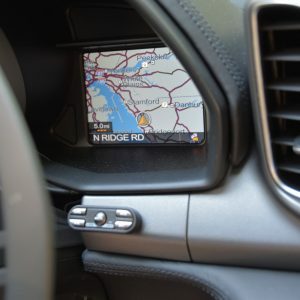 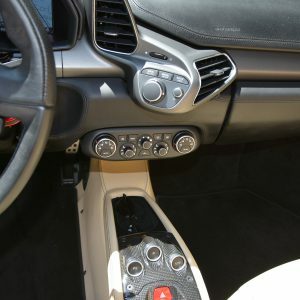 While there’s no manual-transmission option, it won’t be missed. 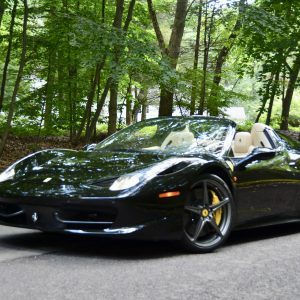 The original MSRP is this superb flawless example was $318,915. 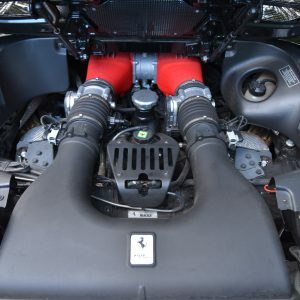 The 4.5L V8 engine produces 570 hp and 398 lb-ft of torque through a Rear Wheel Drive system and a 7-Speed Dual Clutch Automatic Transmission. 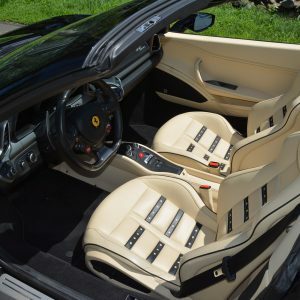 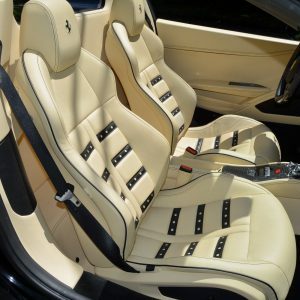 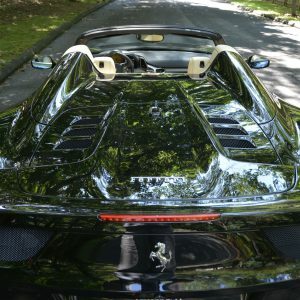 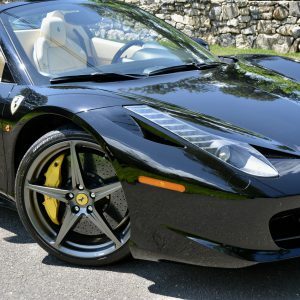 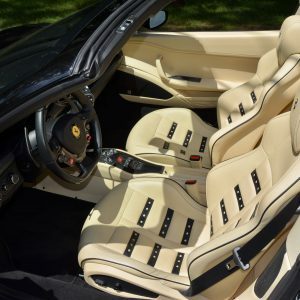 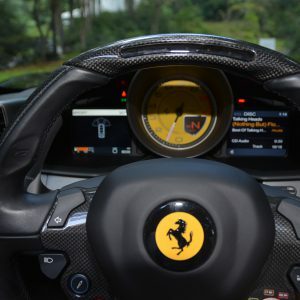 This 458 Italia Spider is further enhanced with the following options, Yellow Brake Calipers, Carbon Fiber Central Bridge, Cruise Control, Leather Lower Tunnel, Leather Central Tunnel, Daytona Style Seat Electric Seats, Horse Stitched on Headrest, Sport Exhaust Pipes, Carbon Fiber Front Spoiler, iPod Connection, Carbon Fiber Steering Wheel + LEDs, ‘Scuderia Ferrari’ Shields, Interior Electro-chromatic Mirror + HomeLink, Parking Camera Front and Rear Parking Sensors, Color Ordered Seat Piping, 20” Forged Dark Painted Wheels, High Power HIFI system, Colored Ordered Special Stitching, Daytona Seat Leather Stripes, Remote Passport Radar Detection System and much more.